This week is a little bit of a cease fire on Teen Mom 2. Jenelle Evans and Nathan Griffith have resolved one issue in court (assault) and seem to be on their way to resolving custody of son Kaiser out of court (sort of). Meanwhile, Kailyn Lowry and Javi Marroquin don’t have much to say to one another. It’s obviously the beginning of the end for these two when it comes to playing out on TV but it is still unclear exactly when the marriage started to really go south. Maybe all will be revealed in the episodes to come. As we join Kail, she’s trying to prepare the boys for Javi to come home while juggling college courses and cleaning up dog vomit. You would think after having two little boys, Kail would be better equipped to deal with some dog barf but she recoils from the situation with more fear than she did jumping out of that plane! But Kail has big things going on in her life to focus on. According to Dr. Drew (how involved is he is these poor girls’ lives? ), Kail would be the first teen mom EVER to graduate from a four year college. Coupled with the fact that Kail’s mom never went to college, Kail is super motivated to finish school and while Javi might not be around, luckily Jo Rivera and Vee Torres are around to help pick up Isaac from school and cheer on Kail. It’s nice to see how well they are all getting along and creating their own modern family. Later, when Javi FaceTimes Lincoln, Kail takes a back seat to the whole conversation and only gets on to talk to Javi briefly when Lincoln heads off to play. The conversation is pretty tense and neither party seems excited for Javi to come home. 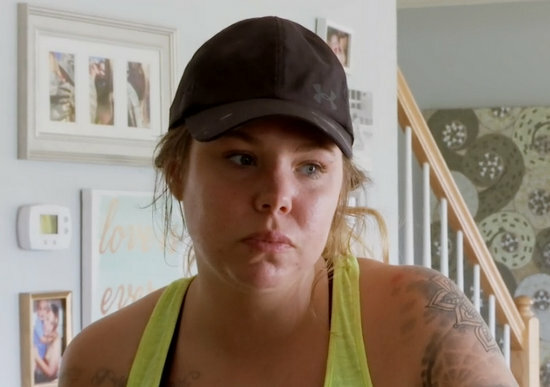 When a producer asks Kail if she has a plan if things don’t work out with Javi, she replies confidently that she always has a plan. Where was that level of confidence when it came to cleaning up dog puke? Chelsea Houska and her friend (who keeps a still processing pregnancy test in her car’s cup holder) go to pick up some flowers. While the pregnancy test cooks and Chelsea picks out flowers, she gets a call from Taylor Halibur (her ex’s ex, if you can follow along). Taylor says they need to talk and the whole call seems shrouded in mystery, plus I never find out the results of Chelsea’s friend’s pregnancy test. Bummer. When they do meet at the gym, which is really an abandoned Cross Fit studio, Chelsea is rocking a full face of makeup to workout, complete with a kohl cat eye. Taylor’s big reveal is that things aren’t as good as they seem when it comes to her custody arrangement with Adam Lind. Chelsea is too gracious to say “I told you so”, but basically, she told you so. 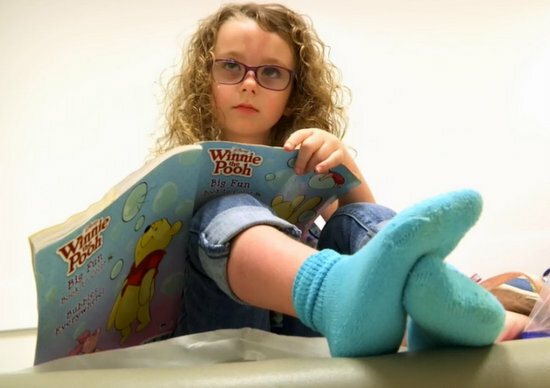 Leah Messer is taking Ali to the doctor while a working Corey Simms attends via cracked screen speaker phone. Unfortunately, Ali has been falling about five to ten times a day and the doctor recommends she use her power wheelchair at home too. Neither have any questions and the doctor looks relieved to be away from the cameras. But Leah’s worries don’t end there – she is still worried about how Jeremy Calvert’s relationship with Addie will play out while he’s working out of state for three months. When Addie calls him with her Kanye kiddie glasses, Jeremy talks to her for a few mins and Addie seems so sad after. She doesn’t understand that he isn’t actually home because she is three. Leah (who is not three) doesn’t understand how Jeremy doesn’t want to FaceTime his daughter more. Leah makes it a point to say that when she was in treatment, she would skip LUNCH just to talk to her kids. LUNCH. In Jenelle’s world, she is gearing up for mediation with Nathan to try and work out custody of Kaiser. Boyfriend David Eason is obviously coming along and they are both dressed for Studio 54 with Jenelle in a blush jumpsuit and David with a red button down shirt (minus the appropriate amount of buttons). The result is that Nathan and his terrible hair got joint custody and seems pretty happy about it. But it’s not over yet because the new agreement has to be drawn up and emailed to both parties, requiring a sign off. I’m guessing that’s not going to happen but that’s just a hunch on my part. As David and Jenelle head out of town overnight, Nathan asked to have Kaiser and Jenelle says it’s not a good idea, per her lawyer. Just the civil contact alone via text angers David, who doesn’t understand why Jenelle is worried about being nice to Nathan at all. Jenelle tries to explain to “babe” that she at least has to try and be nice so she can cover her azz in court if the judge has to intervene down the road, which you know they will. To prove just how undeserving Nathan is of contact from Jenelle, David thinks a move to Saskatchewan would be acceptable because Jenelle can do whatever she wants with Kaiser. Let’s not go moving to Canada now. Actually, scratch that and go right ahead, David. We won’t miss you! 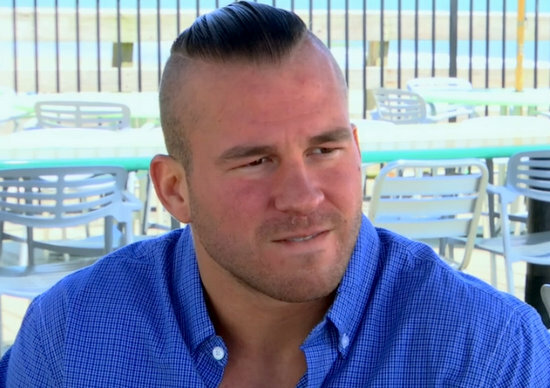 TELL US – WHO WOULD KAISER BE BETTER OFF WITH – JENELLE OR NATHAN?